C. their efforts to pursue social change in which they address self-consciously the complexities of their own situatedness as well as of the complexities of the situation studied. These angles are evident in the larger structure of the book’s three parts: I. Modeling ecological complexity, II. Interpreting ecological modelers in their complex social context; and III. Engaging reflexively within ecological and social complexity. The complex situations referred to in angle A are primarily those studied in ecology and socio-environmental research, but the complexity of influences studied in the interpretation of science leads to an equivalent set of three angles. For each angle, I discuss problems with simple formulations of well-bounded systems that have coherent internal dynamics and simply mediated relations with their external context (labeled type 1 formulations in Chapter 6). I contrast these formulations with work based on dynamics among particular, unequal units or agents whose actions implicate or span a range of social domains (type 3). I note, however, that simple formulations are easier to communicate than reconstructions of particular situations and simple formulations appear to have more effect on social mobilization. I introduce, therefore, an in-between kind of formulation (type 2): simple themes that open up issues, pointing to greater complexity and to further work needed in particular cases. Indeed, opening out across boundaries and opening up questions provides the impetus from each chapter to the next. 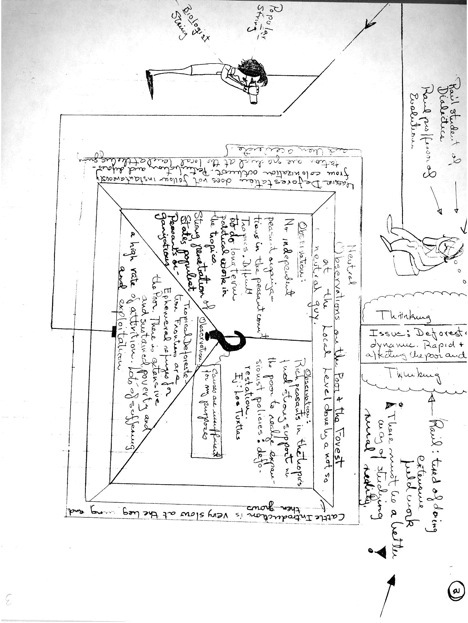 This mode of expository and conceptual development is conveyed by the summary in the next post of the book’s themes and the questions opened up. This 3×3 structure (summarized in a subsequent post) should be applicable to other fields with complex subject matters. This entry was posted in environmental studies, reflective practice, Sci&TechStudies(STS) and tagged complexity, ecology, environmental_studies, reflective_practice, Sci&TechStudies(STS), unruly_complexity on March 7, 2011 by Peter J. Taylor. DeAngelis, D. L. (1992). Dynamics of Nutrient Cycling and Food Webs. London: Chapman and Hall. Hagen, J. B. (1992). The Entangled Bank: The Origins of Ecosystem Ecology. New Brunswick, NJ: Rutgers University Press. Taylor (1992). “Community,” in E. F. Keller and E. Lloyd (Eds. ), Keywords in Evolutionary Biology. Cambridge, MA: Harvard University Press, 52-60. —— (2001), “From natural selection to natural construction to disciplining unruly complexity: The challenge of integrating ecological dynamics into evolutionary theory,” in R. Singh, K. Krimbas, D. Paul and J. Beatty (Eds. ), Thinking About Evolution: Historical, Philosophical and Political Perspectives. Cambridge: Cambridge University Press, 377-393. —— and W. M. Post (1985). A Description with Some Applications of MSNUCY, A Computer Model Combining Interspecific Interactions with Nutrient Cycling (Environmental Sciences Division Publication 2419). Oak Ridge, TN: Oak Ridge National Laboratory. Extracted from Taylor, P.J. 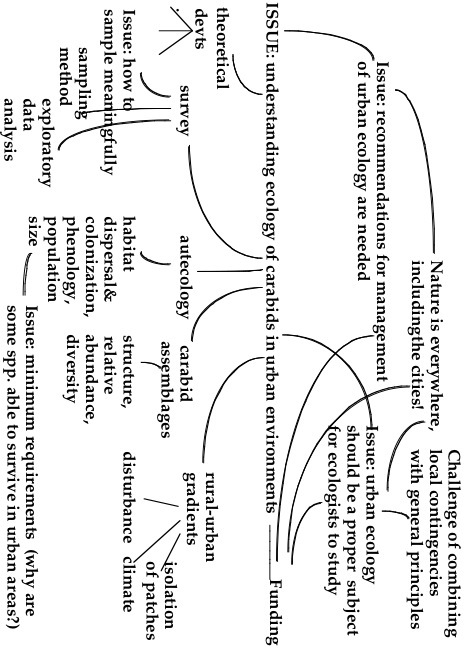 (2005) Unruly Complexity: Ecology, Interpretation, Engagement (U. Chicago Press). This entry was posted in environmental studies and tagged community_ecology, complexity, environmental_studies, systems_ecology on December 3, 2010 by Peter J. Taylor. Traditional, big “S” Social theory seeks to account for the structure and dynamics of Society as a whole (Münch 1987; see also edited collections Bottomore and Nisbet 1978; Giddens and Turner 1987). Although such theory is a possible source of propositions to inform researchers’ accounts of their situatedness in society, modern Social theory itself provides grounds for critique of its own project. Illuminating this point Goldblatt (1996) examines the contributions that Social theorists Giddens, Gorz, Habermas, and Beck make to shaping plausible, politically appealing and practical institutional alternatives and innovations in the context of environmental degradation and the rise of environmental concerns in Western politics. Among many respectful criticisms Goldblatt makes of the theorists’ work, he observes that the globalization of capitalism and (following Giddens and Beck) reflexive modernization mean that: “[t]oo many decisions about economic rationality have to be made by reflexive agents on the ground, on the basis of tacit practical knowledge, to make the transfer of decision making powers to the centre effective. No state, however flexible, can gather enough information, process it quickly enough or embody the essentially local knowledge and skills required in a rapidly changing economy” (Goldblatt 1996, 193). It follows, I believe, that no theory about the dynamics of Society as a whole could provide sufficient resources for reflexive researchers. Researchers may find it helpful to consider multiple, partial social theories, but the challenge remains of weaving those theories together so that researchers do not allow simple propositions about overarching or underlying processes to govern their accounts of social situatedness (Taylor 1997, 211ff). Bottomore, T. and R. Nisbet (Eds.) (1978). A History of Sociological Analysis. New York: Basic Books. Giddens, A. and J. Turner (Eds.) (1987). Social Theory Today. Stanford: Stanford University Press. Harvey, D. (1993). “The nature of the environment: The dialectics of social and environmental change.” The Socialist Register (1993): 1-51. Münch, R. (1987). “Parsonian theory today: In search of a new synthesis,” in A. Giddens and J. Turner (Eds. ), Social Theory Today. Stanford: Stanford University Press, 116-155. Peet, R. and M. Watts (1996). “Liberation Ecology: Development, sustainability, and environment in an age of market triumphalism,” in R. Peet and M. Watts (Eds. ), Liberation Ecologies: Environment, Development, Social Movements. London: Routledge, 1-45. Redclift, M. and T. Benton (Eds.) (1994). Social Theory and the Global Environment. London: Routledge. Taylor (1997). “Afterword: shifting positions for knowing and intervening in the cultural politics of the life sciences,” in P. J. Taylor, S. E. Halfon and P. N. Edwards (Eds. ), Changing Life: Genomes, Ecologies, Bodies, Commodities. Minneapolis: University of Minnesota Press, 202-224. This entry was posted in environmental studies and tagged Beck, environmental_studies, Giddens, Goldblatt, reflexivity, social_theory on November 26, 2010 by Peter J. Taylor. Mapping: Can scientists become interpreters of science and bring the interpretations to bear on their science? According to the perspective of heterogeneous construction, scientists mobilize a diversity of resources and, in so doing, engage with a range of social agents. Similarly, when interpreters of science delimit the relevant resources and agents, they also mobilize resources and engage with diverse social agents (Taylor 2005, Chapter 5, section A). Interpreters of science who recognize this might then reflect explicitly on the practical conditions that enable them to build and gain support for their interpretations. Applying the same interpretive framework to one’s own research should enhance the plausibility of their reconstructions of the work of scientists. There might be more direct way that heterogeneous constructionist interpretation might influence science productively. Instead of relying on some second party to do the reconstruction, could scientists—or indeed any researchers—interpret their own heterogeneous webs? Could researchers reflect explicitly on how their own social embeddedness or situatedness affects their ability to study the situations that interest them? Could they attempt to identify multiple potential sites of engagement and change for themselves? If so, this would cut through some of complexities arising from interpreters trying to model practical reflexivity. To explore this possibility with a number of ecologists and natural resource researchers, I convened two “mapping workshops”—the first in Helsinki, co-led with ecologist-philosopher Yrjö Haila; the second in Berkeley. These workshops were designed to proceed as follows. Each researcher would focus on a key issue—a question, dispute, or action in which the researcher was strongly motivated to know more or act more effectively. All researchers would identify “connections”—things that motivated, facilitated, or constrained their inquiry and action. These might include theoretical themes, empirical regularities, methodological tactics, organisms, events, localities, agents, institutional facilities, disputes, debates, and so on. Researchers would then draw their “maps”—pictorial depictions employing conventions of size, spatial arrangement, and perhaps color that allow many connections to be viewed simultaneously. The map metaphor was meant to connote not a scaled-down representation of reality but a device that shows the way—a guide for further inquiry or action (Taylor and Haila 1989; Taylor 1990). Over a series of sessions the workshop participants would present these maps and be questioned by other participants. As a result they might clarify and filter the connections and reorganize their maps so as to indicate which connections were actually significant resources. The ideal was that researchers would self-consciously modify their social situations and their research together, perhaps in collaborations formed among the workshop participants. Of course, given that mapping was an experiment, it was not surprising that the ideal was not realized in these initial two workshops. Three maps from the workshops illustrate the map making that resulted. Figure 1, by a Finnish ecologist I will call “E,” was the most orderly of the maps, having been streamlined and redrawn on a computer. As such it does not do justice to the real-time experience of its production during an actual workshop. Indeed, when viewed on their own all the maps appear schematic; valuable history, emphasis, and substance were added when the mapmakers presented their maps to other workshop participants. The central issue on E’s map is very broad, namely, to understand the ecology of carabid beetles living in the leaf litter under trees in urban environments. On the map below this issue are many theoretical and methodological sub-problems, which reflect the conventional emphasis in science on refining one’s issue into specialized questions amenable to investigation. Above the central issue are various background considerations, larger and less specific issues, situations, and assumptions that either motivated work on the central issue or were related to securing support for the research. E’s research alone would not transform the urban public into recognizing that “nature is everywhere—including in the cities,” but by combining the upward and downward connections, he reminded himself that work on the background issues, not only refining a working hypothesis, would be necessary to be able to keep doing his research. In narrating his map, E mentioned some additional history. Many of the ecologists with whom he collaborated had been studying a forest area, but the group lost their funding when the Forestry Department asserted that forest ecology was their own domain. It did not matter that animals are barely mentioned in the ecology of forestry scientists. The ecologists self-consciously, but of necessity, turned their attention to the interconnected patches of forest that extend almost to the center of Helsinki, and explored novel sources of funding and publicity, including a TV documentary. The upward connections were thus a recurrent, if not persistent, influence on E as he defined his specific research questions. Historical background depicted in a narrative format is more evident in a large map by “R,” a Mexican who had come to specialize in the economic and agronomic dynamics which lead to impoverishment of peasants, their migration into forest areas, and subsequent clearing of those forests. Figure 2 is only one section of that map. 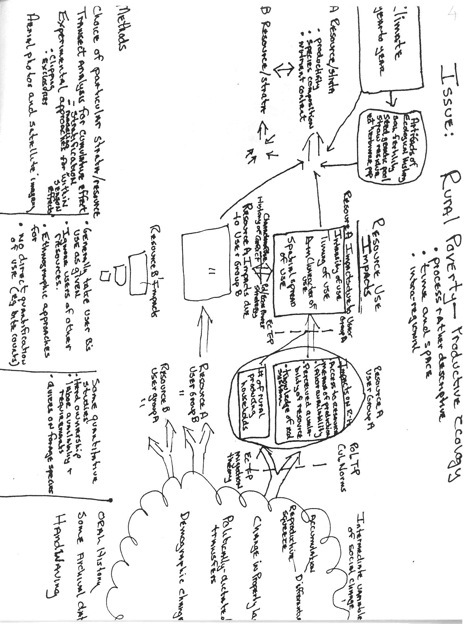 Although radically different from E’s redrawn map, R’s map also highlighted simultaneous issues of building the disciplinary and collaborative context in which to pursue his many concerns. As a biologist he wanted to stem rainforest destruction; as a political activist he wanted to reduce rural poverty; and as a resource economics graduate student in the U.S. he needed to frame technical questions that could be answered. In Figure 3 “M,” an American studying land degradation and impoverishment among nomadic pastoralists in West Africa, depicted a more conventional conception of research. Questions form the bulk of the map and are separated from methods—the strip along the bottom. M omitted the movements, arrangements, alliances, and negotiations he built in order to monitor milk production, elicit from the herders rules governing herd movement, assess herd ownership, measure the effect of grazing on pasture growth, complete surveys to “ground truth” satellite images, and so on. M’s map also located him in his remote field area, and omitted the audiences in the U.S.—sponsors and critics alike—for his current and future research. In short, notwithstanding the guidelines I had given to mapmakers, M included the situation he studied and left himself out. To what extent, recalling the goals of mapping workshops, did the workshops lead participants to “clarify and filter the connections and to reorganize their maps”? It took considerable time to prepare maps, and the mapmakers did not devote more time to redraw their maps in response to interaction during the mapping sessions. M, for example, did not redraw his map to include his own context. To what extent then did researchers realize the ideal of “self-consciously modify[ing] their social situations and their research together, perhaps in collaborations formed among the workshop participants”? Several participants, at the Helsinki workshop in particular, claimed that the mapping workshop had expanded the range of influences, both theoretical and methodological, that they would bring into planning their future work. One workshop participant commented that mapping made it impossible “simply to continue along previous lines.” Nevertheless, although the workshops provided the opportunity to link up with others around revealed affinities, no new coalitions emerged; changes in the researchers’ work were not so dramatic. Extracted from Taylor, P.J. (2005) Unruly Complexity: Ecology, Interpretation, Engagement (U. Chicago Press), chapter 5, Part B.
Taylor (1990). “Mapping ecologists’ ecologies of knowledge.” Philosophy of Science Association 2: 95-109. Taylor and Y. Haila (1989). “Mapping Workshops for Teaching Ecology.” Bulletin of the Ecological Society of America 70(2): 123-125. This entry was posted in environmental studies, reflective practice, Sci&TechStudies(STS) and tagged agriculture, ecology, environmental_studies, heterogeneous_construction, mapping, Sci&TechStudies(STS), workshop on November 20, 2010 by Peter J. Taylor. Jordi Bascompte’s “Stucture and dynamics of ecological networks” (Science, 13 August 2010) cites Robert May’s theoretical work in the 1970s as showing that, because “the more complex a randomly built food web, the less stable it is… real networks must have some contrasting, nonrandom structures that allow them to persist despite their complexity.” Efforts to characterise the nonrandom structures, including Bascompte’s, would benefit from giving more attention to lesser-known theoretical work from the 1970s and 80s that showed that, whereas stable systems may be extremely rare as a fraction of the systems being sampled (May’s result), they can be readily constructed over time by the addition of populations from a pool of populations or by elimination of populations from systems not at a steady state. Under such a “constructionist” perspective: stable complex ecosystems need not be weakly interlinked modules of populations—they can be more richly interactive; the range of mathematical possibilities that modelers can consider is extended; persistence of complexity does not necessarily require devious strategies (ongoing turnover of populations may be all that is needed); complexity can be constructed in ecological time without shaping of interactions by natural selection; complexity constructed in ecological time depends on its spatial context; and complexity might be better conceived in terms of intersecting processes, not well-bounded systems. As remarked ten years ago in the context of a debate about whether diversity enhances ecosystem function, the constructionist perspective on ecological complexity is also preferable for any serious consideration of the implications of human interventions within ecosystems. P. J. Taylor, Unruly Complexity (University of Chicago Press, 2005), 3-17. This entry was posted in environmental studies and tagged complexity, construction, environmental_studies, Robert_May on September 4, 2010 by Peter J. Taylor. Why emphasize collaboration in environmental research? Since the 1990s collaboration has become a dominant concern in environmental planning and management (Margerum 2008), but the need to organize collaborative environmental research can be traced back at least as far as the tropical rainforest ecosystem projects led by H.T. Odum in the 1950s and 60s (Odum and Pigeon 1970). This emphasis ran through the International Biological Program (1964-74) and the Long-Term Ecological Research projects that began in 1980. Yet what exactly is it about developing environmental knowledge that calls for collaboration? A number of different ways to think about collaboration in environmental research can be readily identified (Taylor 2001). We divide this list into two categories: the first reflecting the simple idea that collaboration aims for a sum of multiple parts; the second, the hope that something greater than the sum of those parts will emerge through their interaction (Box 1). Box 1. Why emphasize collaboration in environmental research? • When research is tied together with planning and management that involves meetings and networks of representatives of established and emerging stakeholder groups, the knowledge and questions from the different groups and kinds of research needs to inform the research projects (Margerum 2008, Wondolleck and Yaffee 2000). • When researchers are concerned about social justice, they can shape their inquiries through ongoing work with and empowerment of people whose lives stand to be most affected by some change in social policy or technological development, such as digging of deep wells for irrigation (Greenwood and Levin 1998). • When the knowledge and research skills of more than one person/specialty are needed, multi-disciplinary research teams are established. • When the labor of research, especially in data collection, is beyond any research group, amateurs—”citizen scientists”—can be sought as collaborators (Wikipedia n.d., Barrow 2000). • Workshops and other organized multi-person collaborative processes in environmental research constitute a self-conscious example of what sociologists of science and technology have called “heterogeneous engineering” (i.e., the mobilization of a variety of resources by diverse agents spanning different realms of social action) (Taylor 2005, 93ff). • Researchers in separate projects and disparate locations use the tools of eco-informatics to combine their data and thereby generate a larger picture (Halpern et al. 2008). • Knowledge and further research questions can be generated that the collaborators (individually or in sum) did not have when they came in (Olsen and Eoyang, 2001). • Guided by skillful facilitators, collaborators can become invested in the plans, policy, and ongoing collaborations that emerge from the research (Stanfield 2002, 17ff). • Collaborators develop skills and dispositions for collaboration in various settings, as warranted by the rise of citizen participation and of new institutions of “civil society” (Burbidge 1997, Taylor 2005, 204ff). We have expressed the items in the second, “greater than the sum of the parts” category in more generic terms, but we see them as grounded in many of the more concrete objectives of the first category. At the same time, we recognized that the objectives in the second category raised questions about the theory and practice of collaboration that need not be specific to environmental research: Why do well-facilitated group processes result in collaborators’ investment in the product of the processes? How can collaborators (or facilitators of collaboration) ensure that knowledge generated is greater than any single collaborator or sum of collaborators came in with? How does a person become skilled and effective in contributing to such outcomes? There is an obvious flip side to these questions. What can we learn from interdisciplinary workshops and collaborations that fail, for the most part, to generate new knowledge and investment in the product; that do not enhance participants’ ability to contribute to effective collaborations in the future? Each of us had seen time, energy, funds (and associated carbon footprint) poured into workshops in which the parts competed more than added up to any sum. Where the pressure for products was allowed to squelch generative processes so that participants perpetuated familiar patterns of defending territory and speaking at cross-purposes. Where we headed home without being enriched by perspectives and frameworks from other disciplines—and, in many cases, without any products emerging. Yet, grouching about such frustrating experiences (which seem far from rare) is not productive; the question is how can we do better? Let us pick up the last question that flowed from the “greater than the sum of the parts” objectives: How does a person become skilled and effective in contributing to collaborations? This entry was posted in environmental studies, reflective practice and tagged collaboration, environmental_studies, group_process, reflective_practice on September 2, 2010 by Peter J. Taylor.